Canadian academic Jordan Peterson brought some of the lessons from his '12 rules for life' to thousands of Mancunians during a sell-out show at the O2. Professor Peterson rose to prominence in Canada after he protested against bill C16 which amended the country’s human rights act to include protection for the transgender community. Taking issue with the law, Peterson said it was a voilation of free speech by pushing for 'compelled speech'. Following several protests against him, and pressures for him to be fired from the University of Toronto, Peterson became a prominant advocate for freedom of speech. It is one thing to tell people what they can’t say, and another to tell people what they have to say. 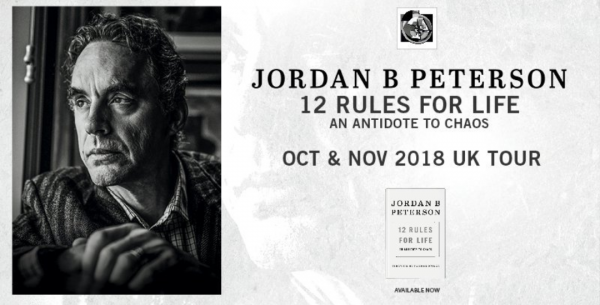 On Thursday, Peterson visited the Manchester O2 Apollo theatre to promote his bestselling book The 12 Rules for Life – An Antidote to Chaos. American commentator and talk show host Dave Rubin opened the show. Jordan Peterson walked out onto the stage and the theatre erupted into applause. Peterson achieved notice in the United Kingdom following his debate on Channel 4 with journalist Cathy Newman. The interview topics ranged from his views on free speech, masculinity and the gender pay gap. The video received more than 12m views on YouTube, as well as 100,000 comments. Many of his lectures have been uploaded onto YouTube, and have received praise from people across the political spectrum. The subjects of his lecture were rules 10,11 and 12. Peterson told the crowd to choose their words with great care. He called for people to seek meaning over pleasure in their lives. Peterson said: “Through meaning, you will find happiness”. A controversial topic that Peterson covered were the issues around toxic masculinity, stating that “toxic masculinity is not a problem with men, it is a problem within the relationship between the sexes”. Peterson spoke about the journey that men and women have taken together through thousands of years of evolution. He was confident that the genders would strive through our current social difficulties together as they have done through history. Isn’t a refrigerator an amazing thing? Every morning you should bow to it. 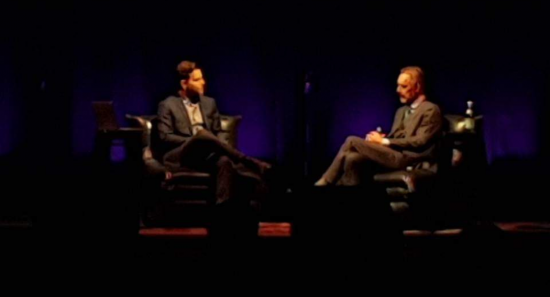 During the Q&A between Peterson and Rubin, a member of the audience attempted to climb onto the stage before being stopped by security. The message delivered by Jordan Peterson was that we should seek meaning in our lives. He said that meaning can be found in careers, with our loved ones or through striving against hardships. Don’t choose safe. Life is one 100% fatal. Confront it courageously. Go for meaning in your life. That’s rule 12. Upon ending his lecture, the audience gave a standing ovation.